Are you a member of a WhatsApp group? Is this a business group or study group? Indeed, does not make a difference at all. If you want to keep the record of all WhatsApp users on that group by their name, it is possible. This question is clicking in the mind of many users that how they can make a copy of all the contacts which are added in the WhatsApp group so as to maintain the records for future purposes. Creating backup is also an asset for business purposes because they can interact with all the user one go. Some of you had a myth in mind that there is no such procedure to do this task with such an ease. If you have access to the group as a member, you can export all of the contacts to excel. 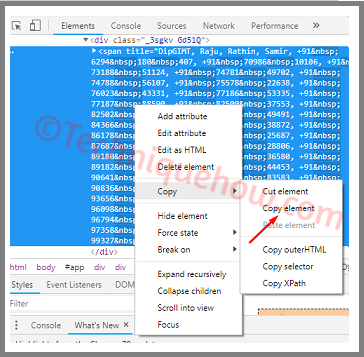 To do this, you may utilize extensions on your browser or specifically from the developer mode on WhatsApp Web. You can enlist all of the phone numbers present on that WhatsApp group along with their names. We all are aware of the WhatsApp Web feature which is provided by WhatsApp itself which allows all the users to open all their WhatsApp chats on PC and from there they can chat quite comfortably. It is available for all users whether it is an Android or iOS user. First of all, open WhatsApp Web homepage by going to https://web.whatsapp.com directly on your browser. Then, you will see a QR code displayed on your PC’s screen. Then you have to open WhatsApp on your phone and on the top right corner of the app you will find the 3 vertical dots menu tray. An option named “WhatsApp Web” is there in the middle of that tray. Click on that option and scan that QR code. After that, you will see that all your chats are opened in the browser automatically and you can use WhatsApp on your PC as well. As long as you are signed in, you will be able to use it on your PC. Also Read: How to Record WhatsApp Video Call Easily? On the left side of the PC’s screen, you will find all your contacts and Group chats. Click on the icon of that Group chat which you want to. All the messages of that group will appear on the right side of the PC’s screen. On the top, you will find the name of the Group followed by some contacts information below it. Right-click and the option “Inspect” will appear, you have to click that. Mostly it is found in the last of that menu. You can also press CTRL+SHIFT+I to open that window directly. Once you click on that icon and you will find that another window will be automatically opened on the right side of the screen. You will find some coding like stuff there just find the attachment below and do as it says. Just right-click on it and select Copy>Copy element option. 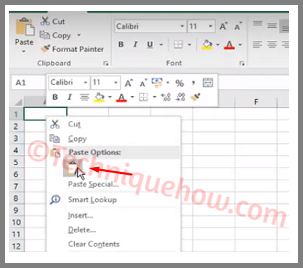 Now open Excel sheet and paste it there. Now you will see the format is having noise in it. So, to make it useful just do the following steps. Press Ctrl+H and a dialog box will appear. Now paste &nbsp; into the 'Find What' box and hit on 'Replace All' button. 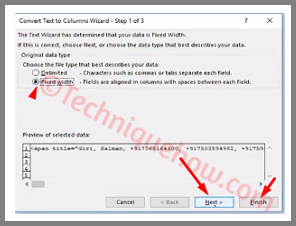 Now to set the format in single box Click on 'Text to Columns'. Then select 'Fixed Width' and click on Finish button. 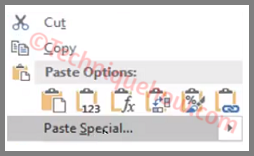 Now again select the entire row and click on 'Paste Special'. Finally, tick on 'Transpose' and click on OK button. To download all WhatsApp group contacts in a more simple way, there is an app called 'Group Contacts Download'. Just search for 'Group Contacts Download' on chrome web store and click Add to Chrome button. Once you've installed it. Just open any group and find the three dots icon and select 'Group info' option. Now you will see 'Download Group Contacts' option. Just click on it & this will be downloaded in an excel file. 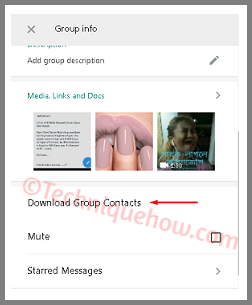 It can be clearly seen that this feature of WhatsApp will help you to organize the all the contacts of WhatsApp group contacts at one place at with an ease. This organized method can be arranged both by the long and short method discussed above. 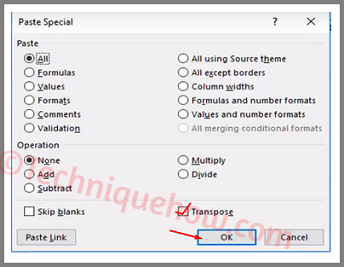 If you don't want to enter into the coding system then the extension method will be the best for you. It doesn’t take too much of efforts as there is a myth in the minds of the people who are pertaining to the use of this feature. Please make sure to download the correct extension on your chrome.